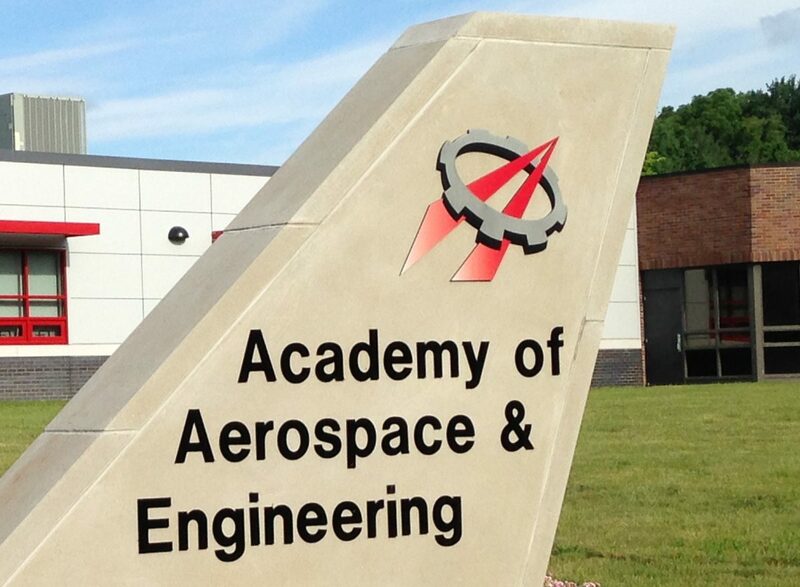 At the Academy of Aerospace and Engineering, students have been learning about force and motion over the past week. 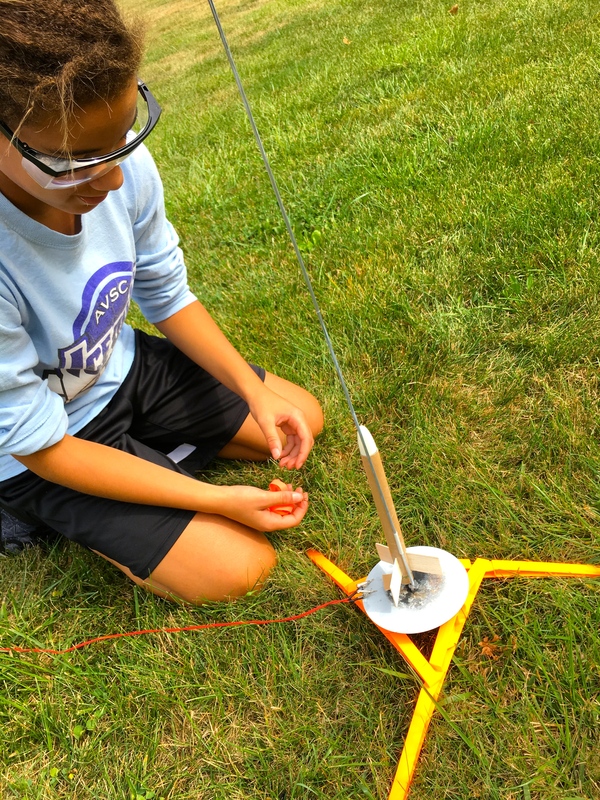 However, rather than just do traditional lessons and labs, students also have done inquiry activities and applications of what they learned about force by using model gliders and rockets. 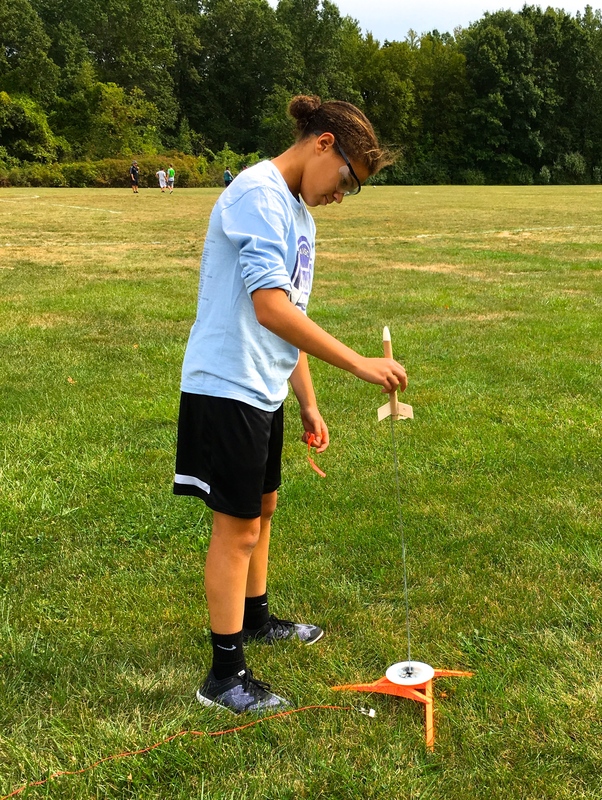 The seventh graders have used gliders to begin learning about the forces of flight. They learned the terminology and related the terms to what they have been seeing on the flight simulator. Then they built and flew balsa gliders and paper gliders in inquiry lab activities to further see how these forces interact. The following photos show their learning in action. 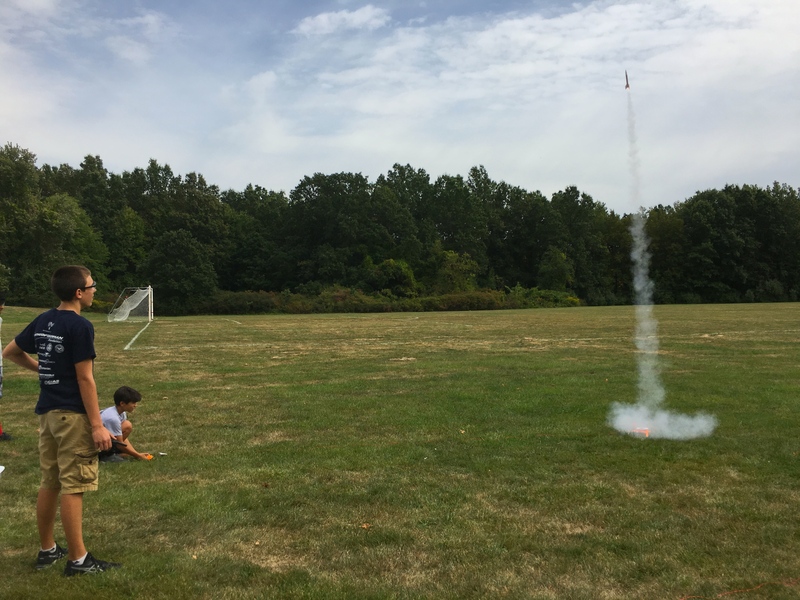 The eighth graders concluded their rocket project where each student group, or crew, had designed, built, and tested an original design with the goal of accelerating as fast as possible. The common constraint was that all model rockets used an Estes A8-3 engine, providing an average of 8 Newtons of thrust for about 2 seconds. The best design belonged to Crew 5 whose rocket accelerated at 94 feet per second per second up to over 640 feet in altitude. All six of the crews’ rockets flew straight, stable flight paths and accelerated well. 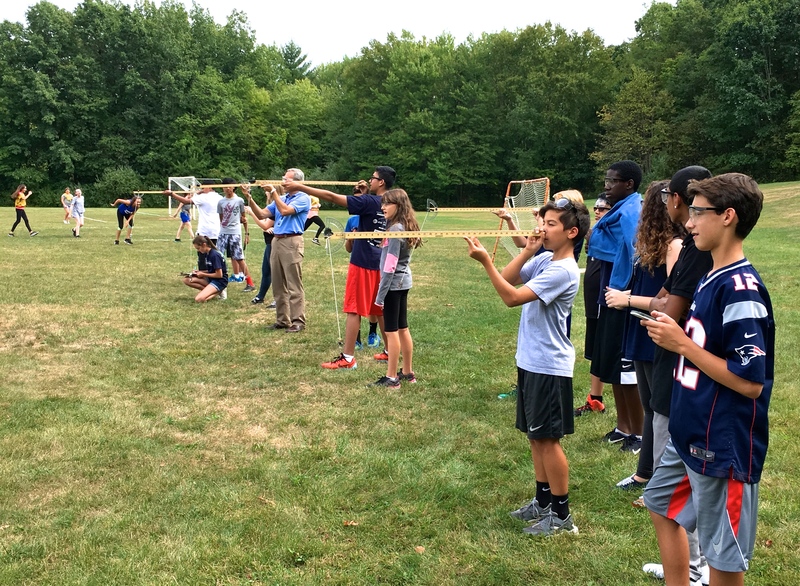 The students learned to calculate the acceleration using distance and time as the basis. 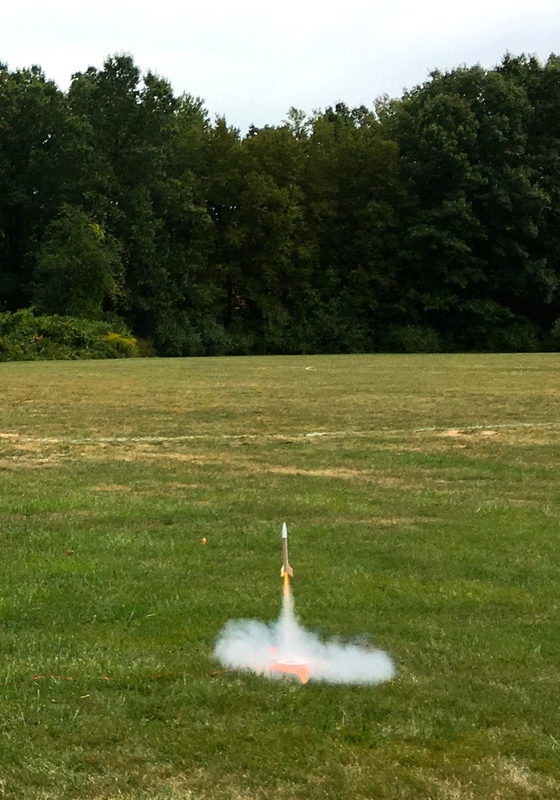 The following photos show each crew with their rocket. Crew 5 with World’s Fastest Rocket! The students at the Academy of Aerospace and Engineering are focusing on the use of models this week, though we use models throughout the school year in various ways. A model can be physical, conceptual, or mathematical, and we use all three types. The use of systems and system models is also one of the cross-cutting concepts promoted in the Next Generation Science Standards, the latest guidance on how to teach science effectively. For the 7th graders, Ms. Garavel introduced the idea of models, then gave the students an assignment to assemble a model aircraft or spacecraft, do a report on it, and present it to the class. The students will also soon be flying model gliders, then designing their own model gliders. These students are learning that models can be a simple way to learn about a complex machine, such as an airplane. They are also learning some basic techniques for building. While the assignment and tasks are fairly simple, they serve as a good model for later on when the students learn to build in our makerspace using hand tools, power tools, and 3D printing. The following photos show the 7th graders assembling their models and preparing their reports. 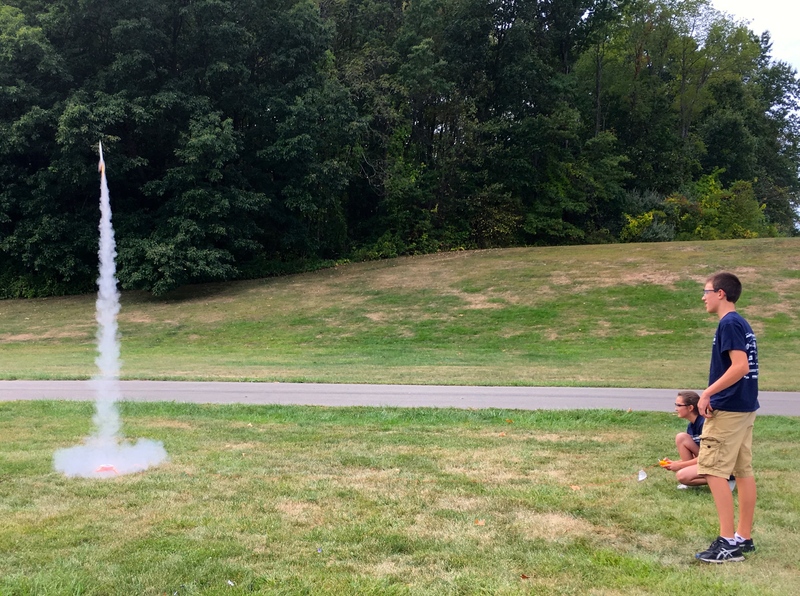 I am teaching the 8th graders, and we are using model rockets to study motion, primarily the concepts of distance and displacement, speed and velocity, acceleration, and force. 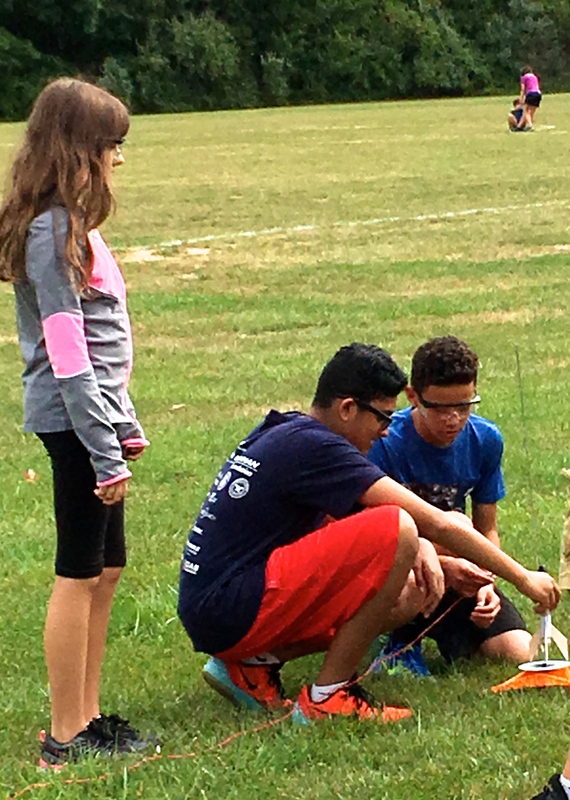 The students had to design their model rockets to accelerate as much as possible while all using the same model rocket engine. After some preliminary labs where we studied motion, we discussed how we could graph a model rocket’s motion when it is launched. A graph is a mathematical model. 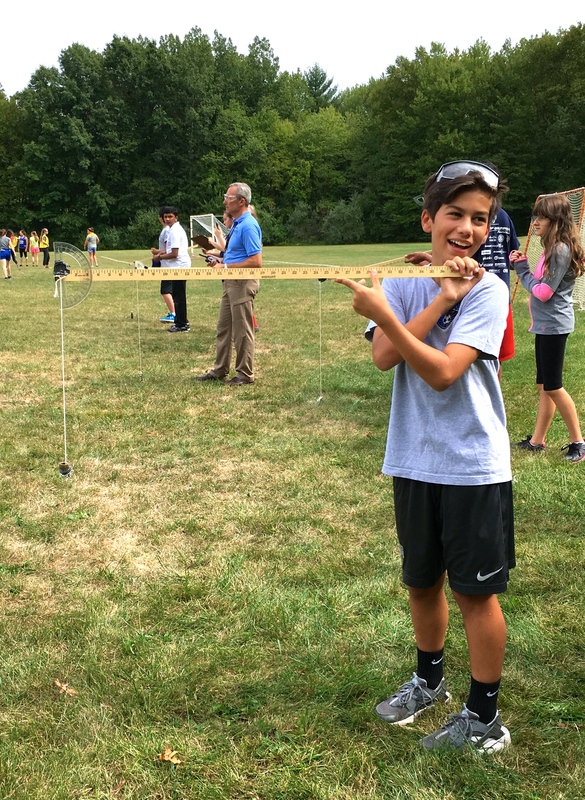 The students saw how a velocity vs. time graph could be used to find the altitude of the rocket by calculating the area under the velocity curve. We also used a wind tunnel to model how drag will affect the rocket inflight. The following photos show model rockets and the 8th graders building, testing, and launching them and measuring their altitude and time to reach altitude – and to show how much these students have progressed in the past year, note that a student is running the launch pad (and he did a superb job, maintaining a safe, efficient launch schedule), and all the students’ rockets launched and flew straight, stable flight paths, compared to a 50% success rate the first time they did such a project last year. Finally, in the last two weeks the students have heard guest speakers who serve as role models. In celebration of the US Air Force’s birthday, we heard Captain Nicole Robillard, US Air Force, speak via Skype about her service as the supervisor of airfield operations at her base in England. I met her there when I was traveling in England this summer, and what struck me was this very professional officer was from Bristol, Connecticut. What was especially impressive was that she and her three sisters all attended the US Air Force Academy, an extremely selective college. We also heard another guest speaker this week, Donna Men, a senior at Western Connecticut State University majoring in accounting. Donna was inspirational as a role model, as she had moved to this country from Cambodia when she was ten years old, speaking no English. She went on to become a successful high school student (and my student for three years) who earned so much scholarship money, she got a refund from WestConn every year. She also has already gotten a job offer from Deloitte, a world class accounting firm. These role models and the other forms of modeling are helping the students at the academy become better learners and better citizens. 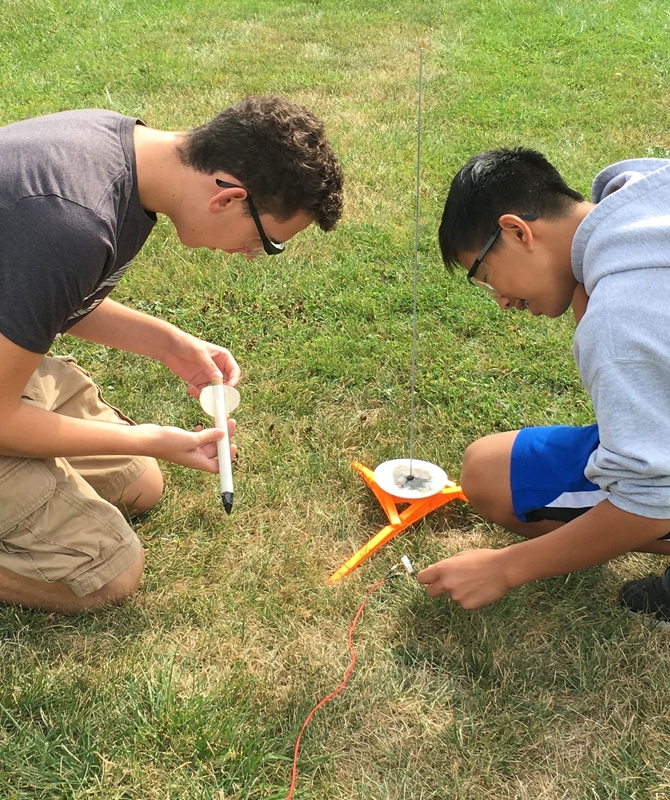 During the last two weeks, the students at the Academy of Aerospace and Engineering have been learning and practicing the engineering design process (EDP). We follow an EDP we borrowed from NASA – click here for a Powerpoint explaining this process. The EDP is a methodical way to solve problems, and we emphasize to students that it is not just a process for engineers – it’s useful in many situations.